Flatirons Photo Club | Flatirons Photo Club in Boulder welcomes amateurs and professionals who want to learn more about photography. Flatirons Photo Club in Boulder welcomes amateurs and professionals who want to learn more about photography. The competition results of the April 2019 meeting at Mike’s Camera are available at http://flatironsphotoclub.org/april-2019-competition-results. Congratulations to the winners! This entry was posted in Award Galleries on April 17, 2019 by admin. On Thursday, April 11, the Flatirons Photo Club is excited to present photographer Tom Bol https://www.tombolphoto.com/. Where: Mike’s Camera, 2500 Pearl Street in Boulder. Use the southeast entrance, about 50 feet left of Mike’s main entrance. Take the elevator to the second floor. Free and the public is invited. Tom has been leading a very impressive list of photo workshops for 25 years. He writes articles for several magazines, including Digital Photography, Photoshop User and Lightroom Magazine. He regularly shoots assignments for Nikon. This entry was posted in Monthly Programs on April 3, 2019 by admin. The competition results of the March 2019 meeting at Mike’s Camera are available at http://flatironsphotoclub.org/March-2019-competition-results. Congratulations to the winners! This entry was posted in Award Galleries on March 18, 2019 by admin. On Thursday, March 14, the Flatirons Photo Club is excited to present Colorado nature and nightscape photographer, Mike Berenson. Where: Mike’s Camera, 2500 Pearl Street in Boulder. Second floor, just left of Mike’s main entrance. Free and the public is invited. 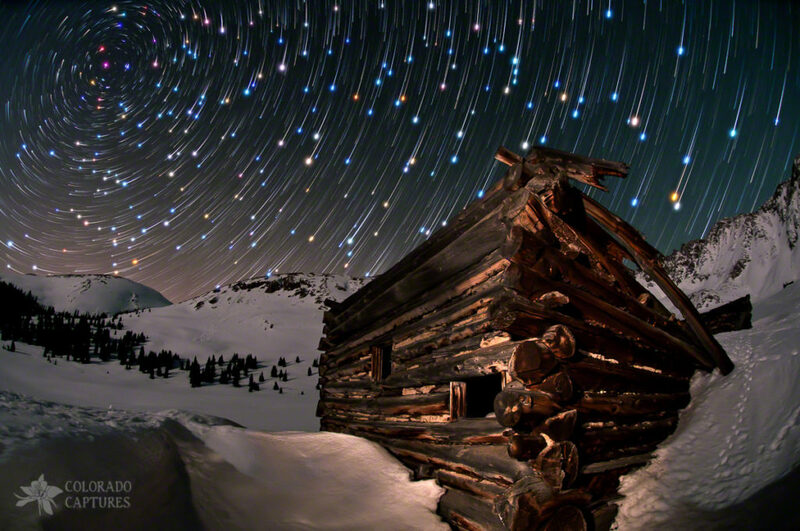 Mike enjoys bringing his unique visions of the night sky come to life and helps others to do the same. He will show us some of his incredible images and what it takes to capture them. Using the night sky as a source of inspiration, Mike pushes beyond a camera’s limits to create works of art that make people think. 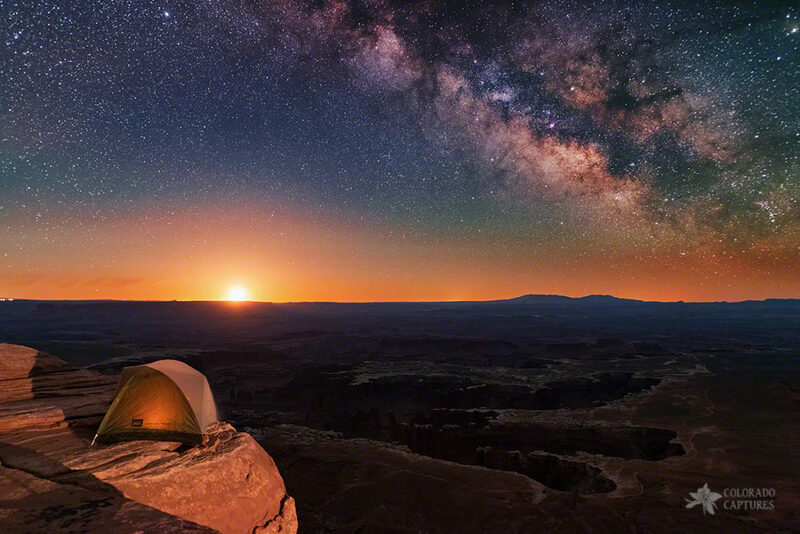 Together with training partner Darren White, Mike makes Milky Way Dreams come to life with workshop events in Arches, Canyonlands, and Yellowstone National Parks and on Mount Evans in Colorado. Check out their website at NightPhotographyWorkshop.com and see what the excitement is all about. Mike would also like to offer members of the Flatirons Photo Club a 10% discount on any workshop event payments for a month following our talk (so it will expire on 4/14). This discount is available by entering “BOULDER19” on our checkout page. This entry was posted in Monthly Programs on February 21, 2019 by admin. The competition results of the February 2019 meeting at Mike’s Camera are available at http://flatironsphotoclub.org/february-2019-competition-results. Congratulations to the winners! This entry was posted in Award Galleries on February 20, 2019 by admin. Important! The next meeting of the Flatirons Photo Club will be at Mike’s Camera! On Tuesday, February 14, 2019, at 7 p.m., Glenn Randall will present Take a Walk on the Wide Side, a lecture on how to compose, shoot, and stitch together single and multi-row panoramas. The Special Topic for the member competition is Black & White. See http://flatironsphotoclub.org/monthly-members-competition for image submission details. Members are asked to submit images by Sunday evening, February 10. It’s a wide, wide world out there. Certain subjects just cry out to be photographed in a panoramic format. Many of Glenn’s favorite images from his Sunrise from the Summit project, in which he photographed sunrise (or sunset) from the summit of all 54 of Colorado’s 14,000-foot peaks, proved to be panoramas. Something about that ultra-wide angle of view, sometimes as much as a full 360 degrees, captured the exhilarating, humbling, and awe-inspiring experience of being a tiny speck on top of the world. The easiest way to shoot a panorama is to take a single frame and crop it to whatever aspect ratio works best for the subject. There’s no law that says that an image composed within a 3:2 frame must be shown with that same aspect ratio. Cropping has two disadvantages, however. The first is that you are limited in angle of view horizontally to the angle of view of your widest lens. The second disadvantage concerns print size. Panoramas look good printed big, but the biggest print you can make is limited by the resolution of a single frame. The solution is to shoot a series of images, rotating the camera between shots so each frame overlaps the next, then stitch all the frames together in software. With this approach, it’s possible to create enormous panoramas—as much as 360 degrees wide—with great quality. Learning to shoot and stitch panoramas from multiple frames will open up a new world of photographic possibilities. No longer will you be limited to seeing the world through the rectangular frame defined by your viewfinder, with its rigid 2:3 aspect ratio. That view, as pleasing as it may be, is only the starting point in your search for the most evocative possible composition. Take a walk on the wide side, and you’ll never again be content to see the world in just one way. 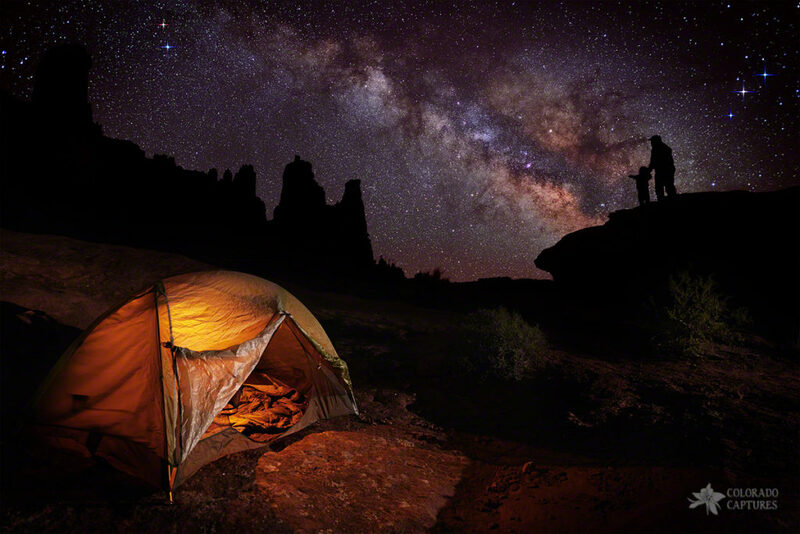 Since 1979, Glenn Randall has combined his love of wilderness with a passion for photography. His intimate knowledge of atmospheric optics, weather, and the landscapes he photographs allows him to find the intersections of magical light and stunning subject matter that produce exceptional images. His work has been published in Audubon, Avalanche, Barnes & Noble, Brown Trout, Sierra Club, Nature Conservancy, and Runner’s World calendars and in Audubon, GEO, Outside, SKI, Los Angeles Times Magazine, National Geographic Adventure, New York Times Magazine, and many others. Glenn is a contributing editor at Outdoor Photographer. Prints of his fine-art landscape photographs can be found online at www.glennrandall.com and in Art Mart, on the Pearl St. Mall in Boulder, Colorado. His photographs have also been used by many book publishers and corporate clients. At age 61, he has accumulated over 1,800 photo credits, including 83 covers, and sold over 10,000 prints. He was the sole photographer for three books of landscape photographs, Rocky Mountain National Park Impressions, Colorado Wild & Beautiful, and Sunrise from the Summit: First Light on Colorado’s Fourteeners. Rocky Nook published his how-to books, The Art, Science, and Craft of Great Landscape Photography and Dusk to Dawn: A Guide to Landscape Photography at Night. This entry was posted in Monthly Programs on January 21, 2019 by admin. Starting February 14, the Flatirons Photo Club will be holding its monthly meetings at Mike’s Camera, 2500 Pearl Street, Boulder CO 80302. Enter doors at the southeast corner of building, 50 feet to the left of the main, public entrance. Take elevator to the second floor. The Flatirons Photo Club meets in the room on the immediate left. IMPORTANT: Start to arrive at 6:30PM for social. Monthly program begins at 7PM. Mike’s will lock its doors at 7PM, so be sure to arrive on time! This entry was posted in Monthly Programs on January 14, 2019 by admin. This meeting will be a Members’ Night, one of two for the year. This meeting will feature a presentation by Vandy Vandervort on her work and how she does it. Afterwards, members can show any two images to talk about and have an open dialogue. There is NO COMPETITION There is NO SPECIAL TOPIC. FPC Members, please submit up to 2 digital images by Monday night, via email to flatirons@flatironsphotoclub.org. See submission guidelines at http://flatironsphotoclub.org/monthly-members-competition. This entry was posted in Monthly Programs on January 4, 2019 by admin. The competition results of the December 2018 Annual Meeting are available at http://flatironsphotoclub.org/annual-meeting-2018-winners. Congratulations to the winners! This entry was posted in Award Galleries on January 4, 2019 by admin. Flatirons Photo Club in Boulder invites you to its Annual Holiday Meeting & Members’ Competition, on Thursday, December 13, 2018 from 7 to 9 PM at Har Hashem Synagogue, 3950 Baseline Road in Boulder. The Flatirons Photo Club is having its Annual Competition. FPC members will show their best work in a variety of categories. Meet fellow photographers, while enjoying some food and drink. Club members: See http://flatironsphotoclub.org/year-end-competition for details on competition entries. This entry was posted in Monthly Programs on November 16, 2018 by admin.